At an Information Day in November, the University of Liechtenstein will be offering insights into student life. Prospective students can find out about the university’s innovative teaching programmes and the special feeling for life to be found on the campus. Which university is the best one for me? Anyone interested in higher education is bound to be faced with this question. 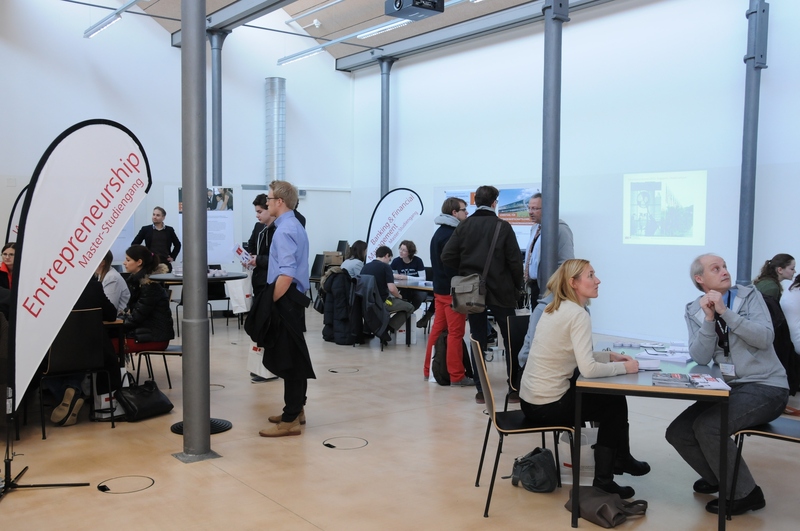 As on-site impressions are crucial, the University of Liechtenstein is organising an Information Day on 28 November, from 1.00 to 4.00 pm. This offers prospective students the chance of attending taster lectures, getting personal advice and exploring the campus on student-led guided tours. Studying, after all, means more than just the communication of knowledge. The university’s Bachelor’s degree programmes in Architecture and in Business Administration lay the foundation for a future successful career. Here the University of Liechtenstein makes the most of its strengths – teaching being conducted in small groups, with a major emphasis on discussion. Students can benefit from an outstanding teacher to student ratio, with one lecturer for every 12 students. This is exceptional for a European university, and ‘creates plenty of space for thinking’. Along with its personal atmosphere, the university has a very international campus. In the course of their studies, students can network with regional industry and polish their profile for global companies. As well as school leavers, the Information Day is also addressed to current students and professionals. The university will be offering information about its Bachelor’s degree programmes in Business Administration and in Architecture. There will also be an introduction to the Master’s degree programmes in Architecture, Entrepreneurship, Finance and Information Systems, along with two Doctoral degree programmes, and plenty of opportunities of further study for professional people – all adding up to a flexible and highly attractive range of possibilities. The surroundings of the University of Liechtenstein are the best guarantee of a healthy work-life balance. Snowboarding, biking, hiking – the outdoor activities balance out intellectual effort. And an education at the Principality of Liechtenstein’s university doesn’t cost the earth. Visitors to the Information Day can also find out about the cost of living and the accommodation available on the campus. The University of Liechtenstein focuses above all on the whole human being. And that starts with the Information Day. Prospective students can get all the information they need in personal encounters, at first hand and on the spot. Current students will also be giving an account of their experiences. This is more useful than any amount of online research!